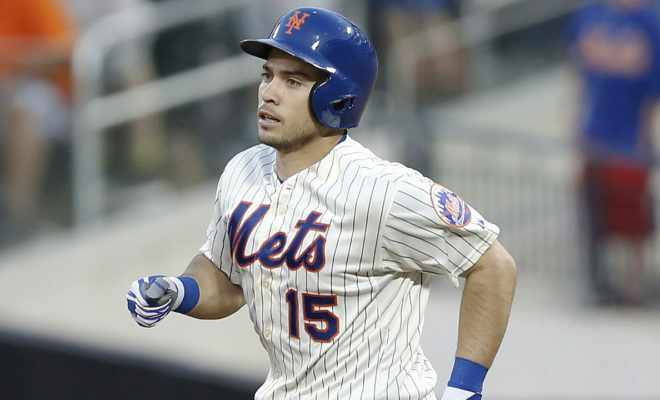 There aren’t more players that have been more disappointing to me than the Mets’ current catcher, Travis D’Arnaud. 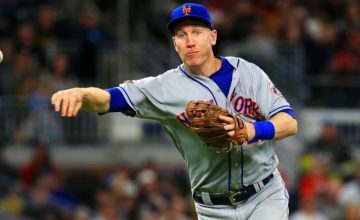 He was thought to be one of the centerpieces in the deal that brought Noah Syndergaard to the big apple, and his reputation for being a good hitter gave fans excitement, but as far as his career goes, all we’ve gotten thus far is annoyance and inconsistency. One thing you can bet on when it comes to health is that he’s likely going to head to the Disabled List at some point in a given year. According to Baseball Reference, D’Arnaud is playing in his 100th game of the season tonight. When was the last time he’s done that, you ask? The answer is 2014, which years of 67 and 75 games apiece in between. Now, we all know a catcher never plays 162 games, but with D’Arnaud’s stats, he’d be projected to hit 17 homers and 62 RBI, which is solid, but again, he’d never catch every game. It’s just possible, and it’s important for your top guy to get rest to keep his body in tip-top shape. What’s been troubling for Travis is his inability to get on base. We’ve seen the flashes of power, but his bat is inconsistent at best as a Major Leaguer. In fact, in 380 career games (entering Thursday) D’Arnaud has a .243 career batting average with a .304 career on-base percentage. That’s just not getting it done at baseball’s top level. Defensively, the arm’s a problem as well. A guy like him, you’d live with his bat if he were a defensive juggernaut, but that’s not the case. While he’s serviceable at blocking the ball, and actually ranks pretty highly with his pitch-framing ability, his throwing leaves much to be desired, to say the very least. In fact, during his career the average caught stealing percentage for a catcher is 28 percent. D’Arnaud has thrown out 22 percent. Simply not good. To compare, the recently departed Rene Rivera has thrown out 36 percent of baserunners in his career, but he’s aging and the Mets didn’t see him as part of the future. 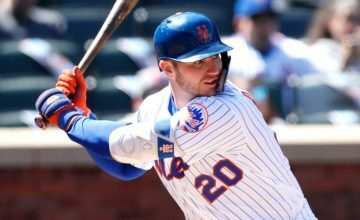 Kevin Plawecki, who currently serves as D’Arnaud’s backup along with the recently-promoted Tomas Nido, has thrown out 24 percent in parts of three years. It’s not phenomenal, but it’s an improvement upon Travis. 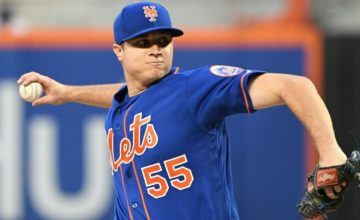 Sandy Alderson and Terry Collins continue to spew garbage that indicates they are okay with going into next year with a D’Arnaud/Plawecki tandem, but I think it’s time for the Mets to at least keep their options open. While Matt Wieters is coming off of a down year offensively, he’s still very good defensively. This is a guy who’s also eclipsed 20 homers three separate times. Jonathan LuCroy is also coming off of a down defensive year, but he’s just one year removed from being an all-star with 24 homers and 81 RBI. He also threw out 39 percent of baserunners in 2016, but that number dipped considerably this season. Now, if the Mets consider those guys, they won’t be alone vying for their services, but if you ask me, now is the time for a change. Next Story → Terry Collins as Mets Manager: A Success or Failure?